Home I don't know too much about Arnthor, only that his usual songwriting partner used to be Anders Sven Bagge. Shellback 2 April 2007: Martin from Sweden told me that Arnthor Birgisson is an Icelandic name, but he sounds Swedish when he talks. He once released a solo album called Flow. Here's the link re Arnthor's album Flow: http://www.shell.linux.se/popoga/a/a00027.html Thanks Martin! Lyrics Here are some artists Arnthor has worked with. 9 Apocalyptica Excellent album, well done. 20 Bullet For My Valentine 6. 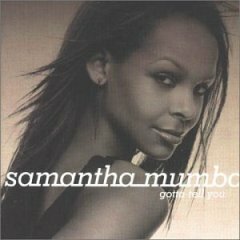 Feel The Flow Written by Natalie Bassingthwaighte, Cameron McGlinchey. Produced by Cameron McGlinchey & Brian Paturalski. 23 Carrie Underwood 8. Supersensual Written by Steve Anderson, Lisa Greene, Steve Lee. Produced by Steve Anderson Incorporates elements of "Heart of Glass"
49 Kahsay Jade MacRae is an Australian R n B singer. She is soon to released her 2nd album and travelled to Sweden to Maratone Studios to record some songs! 52 Kelly Clarkson It's very good!!! 71 Papa Dee No Angels are a German girl group who had their start in Popstars. Destiny is their 4th album. Thanks to Feelgoodlies on the forum who let me know this information! 85 Taio Cruz Stephanie McIntosh is an Australian actress from Neighbours. This song is catchy and bubblegum. 86 Taylor Swift 6 August 06: Mistake debuted at No 3 on ARIA (Australian) Charts! FYI: Mikkel S.E., H Rustan, T.E. Hermansen also co-wrote the S Club 7 track S Club Party. 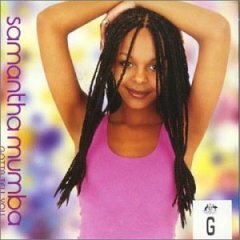 Samantha Mumba is a singer from Ireland, unfortunately she remains a one-hit wonder and I don't know why. This song is one of my all time favourites.